Sweet Wormwood (botanically, Artemisia Annua and also called Sweet Annie Herb) is commonly used for malaria treatment in Chinese Medicine. Modern medicine has derived the anti-malarial drug known as artemisinin from the Artemisia plants. Now, there are several semi-synthetic derivatives of artemisinin are available for the effective treatment of malaria and become part of the prescription drugs. Artemisia Annua is useful in the management of the fever occurring due to viral and bacterial infections. It is mainly effective against dysentery, common cold, fungal infections, etc. It increases appetite, so used to treat the loss of appetite and other digestive problems. It is widely used for the treatment of skin diseases, especially systemic lupus erythematosus (SLE), psoriasis and eczema. Artemisia Annua, a naturally grown plant, is from Asteraceae family. Like daisy and sunflower, which belong to the same family, sweet wormwood small yellow flowers bestow gentle aroma along with its other herbal properties. The herb is native to Asian lands having a temperate climate. However, owing to its remedial benefits, it is now cultivated throughout the world. The aerial parts and leaves of Artemisia Annua (Sweet Wormwood) are used in traditional medicine. The leaves and thin stem of the plants are dried and powdered to form colorless crystals to get the required extract. Artemisia Annua (Sweet Wormwood) contains phytochemical known as artemisinin. 1 gram dry powder of aerial parts of Sweet wormwood plant contains 0.1 to 8 mg artemisinin. Mainly, it is used for the management of malaria and its semi-synthetic derivatives are combined with other anti-malarial drugs to get complete relief from malaria. These compounds have anti-malarial, anti-bacterial, anti-fungal, anti-viral and antioxidant properties. Artemisia Annua (Sweet Wormwood) contains artemisinin, which inactivates the malarial parasites, but it does not kill them. Therefore, drug resistance with artemisinin is common when it is used alone. In combination with other herbs or modern anti-malarial medicines, it is effective for the management of malaria. Artemisia Annua also contains several other chemical constituents, which are cytotoxic to cancer cells. Now, it is studied for the treatment of cancer. It has anti-cancer, anti-proliferative and anti-mutagenic characteristics. 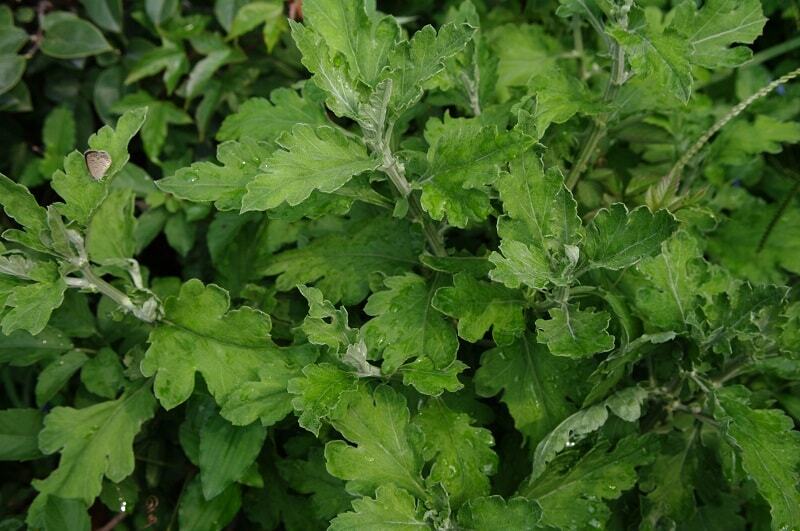 In following diseases, the Artemisia Annua leaves paste formed with water is applied over the affected part of the skin to treat following conditions. Because of its numerous medicinal characteristics, it is evidently used in the treatment of many diseases such as malaria, asthma, jaundice and hepatitis. It is further put to use in curing fevers and illnesses caused by insect bites. Artemisia Annua benefits are known to medical practitioners ever since 168BC. History reveals that this herb has been used to treat illnesses for more than 2000 years. The first traces of its usage are documented in ancient Chinese medical prescriptions. Known as Quing Hao, which means “from the green herb” in Traditional Chinese Medicine, the herb in combination with many other organic components, was used to treat fevers, skin related problems and even reproductive disorders before its fallout from the common use. Eventually, it was rediscovered in 1970 and was brought back to be used more efficiently by the medicinal practitioners around the world. A compound called Artemisinin extracted from sweet wormwood is an effective anti-malarial drug, which has also earned its inventor, Tu Youyou, a Chinese scientist, a noble prize in medicine back in 1970. The derivatives of Artemisinin are toxic to the malaria parasite. When given to the patient suffering from malaria, the Artemisinin, and its derivatives help to inactivate the parasites and assist other medicines to kill the parasites. Note: Nowadays, Artemisinin should not be used alone in malaria because of possibilities of developing the drug resistance, not even to Artemisinin, but also to other anti-malarial drugs. According to recent science, its aerial parts should also be discouraged to use alone for treating malaria. The underlying reason is that the dosage of dried aerial parts of the Artemisia Annua does not contain a significant quantity of Artemisinin, which can help to kill all the malaria parasites, but it contains sufficient amount of it to lead to treatment failure by developing drug resistance. However, the synthetic derivatives of the herb are under further investigations to reveal more about their potential as an anti-cancer drug. It may be effective against breast cancer. Leukemia: Artemisia Annua leaf extract has potent antioxidant activities and cytotoxicity towards leukemia cells. (8) Its tea can help the people with leukemia. Sweet wormwood (Artemisia Annua) helps to treat constipation. It has stimulant action on the intestine, which induces peristaltic movements. The second action is due to its cholagogue and purging effects, which induces bile discharge from the gallbladder and liver into the intestine, which further brings on peristalsis and helps in easier passage of the stool. It is more likely to be effective in cases of chronic constipation than acute constipation and constipation accompanies with mucus discharge. 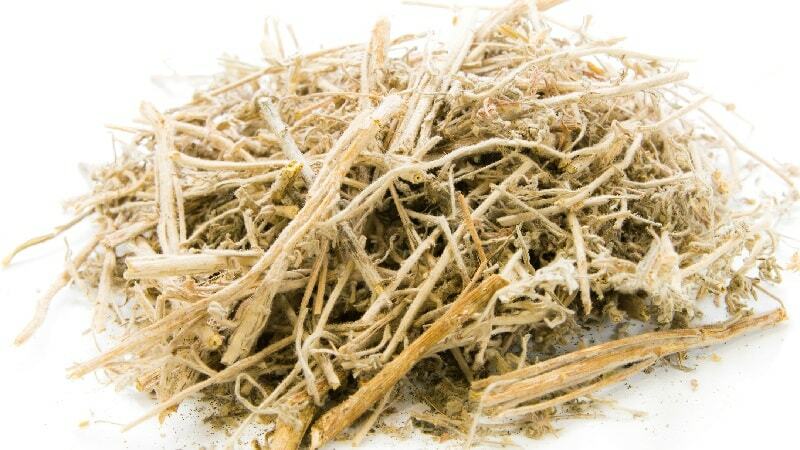 Sweet wormwood has antispasmodic action, which helps to relieve cramps like abdominal pain. Artemisia Annua significantly improves the entire bowel system and stimulates the appetite. Its appetizer effects are clearly observable with its tea. Artemisia is known for its anti-bacterial characteristics. It thus is significantly used in treating bacterial infections of the intestine, urinary bladder, and upper respiratory tract. Its antifungal action is helpful in the management of neumocystis pneumonia, a fungal infection of the lungs, in AIDS patients. It has antiviral action helps to treat the common cold and viral hepatitis. It expels worms and parasites because of its anthelmintic properties. Therefore, the herb is effectively used against ringworms and threadworms. Artemisia is a great relief in purpuric rashes, which are caused due to inflammation and bleeding of blood vessels underneath the skin. A. Annua is helpful in treating nose bleeding caused due to blood heat. Sweet wormwood preparations make a helpful liver tonic and are suggestively used in the treatment of liver related diseases like jaundice and hepatitis. Its extracts trigger the bile secretion. As a result, the cleansing of the liver is stimulated while expelling of the body waste is enhanced. The anti-parasitic action of sweet wormwood (Artemisia Annua) also appears on parasitic worm ONCHOCERCA VOLVULUS. Its extract kills the parasite and prevents blindness due to it. It also provides symptomatic relief in onchocerciasis. In ancient times, tea prepared from the leaves of the sweet wormwood (Artemisia Annua) herb is used to treat painful periods. It has antispasmodic action and improves the flow of the menstrual blood, which helps to reduce the pain occurring during the menstruation. When applied externally, sweet wormwood pacifies itching, heal bruises and felons. It also works wonders on swollen and tired limbs under the effect of rheumatism and gout. The Artemisia extract is anti-fungal, antiseptic and aromatic. Thus if it is put to use externally, it can be a good cure to and a preventer against many diseases. The herb exhibits anti-aging properties. The utility of its essential oil is wide spreading in the cosmetic industry. It is valued in aroma and perfume businesses. Because of its soothing fragrance, sweet wormwood is used extensively in aromatherapies for calming the patient. In some places like Java, Indonesia, Artemisia is ornamentally grown. However, the herb has few toxic properties as well. Before using the herb, topically or internally, it is highly recommended to take an advice from an experienced medical practitioner and adhere to the dosage prescribed. The herb can do more harm than good if it is consumed by a woman in the first trimester of pregnancy. Artemisia is also not recommended for the lactating mothers. Diabetes Mellitus: Artemisia may affect the absorption of the anti-diabetic drugs, which may lead to hypoglycemia. Therefore, blood glucose level should be regularly checked and dosage should be adjusted accordingly. If a patient is taking anti-seizure medicine, Artemisia should not be taken as it further induces the seizure, thus reducing the effect of the medicine. The prolonged usage of Artemisia herb must be avoided as it may cause side effects like Nausea, dizziness, and fatigue. An unattended excessive dose of this herb may also lead to neurotoxicity.